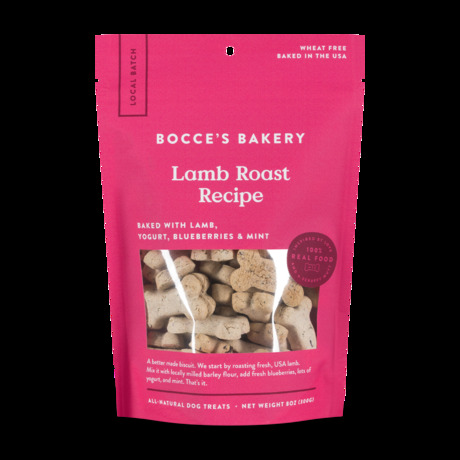 Lamb Roast - 8 Oz. We start by roasting fresh, USA lamb. Mix it with locally milled barley flour, add fresh bluberries, lots of yogurt, and mint. That's it. Ingredients: Organic Barley Flour, Lamb, Blueberries, Yogurt, and Mint..that's it! For more information, please visit Bocce's Bakery.